On the first low-humidity, low-wind summer day I got, I spray painted the typewriter stand a bright grass green and the coat tree a golden yellow. (With a little bit of beer, too, of course.) 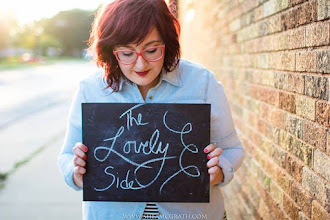 This project only strengthened my love for Rustoleum products. 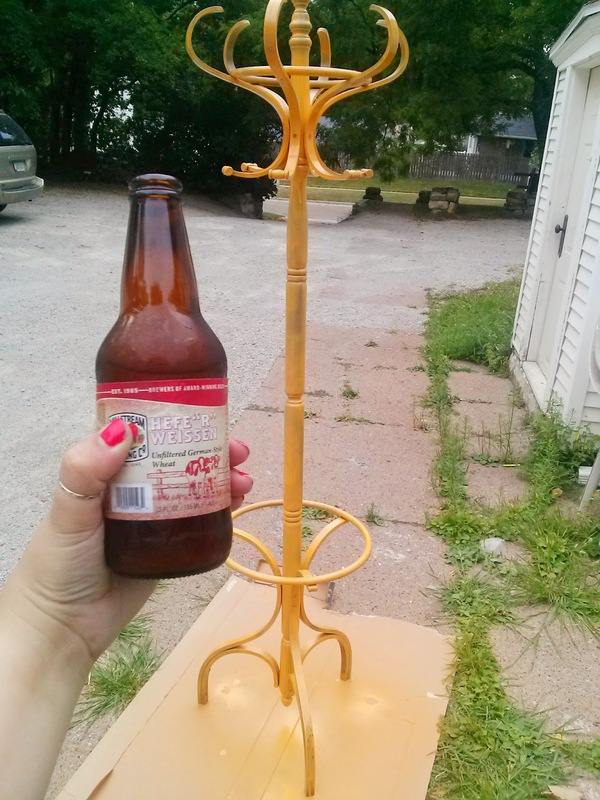 I used Krylon on the coat tree because it was the only spray paint I could find in that exact yellow color I wanted. I used Rustoleum on the typewriter stand. Rustoleum always sprays and coats more evenly. 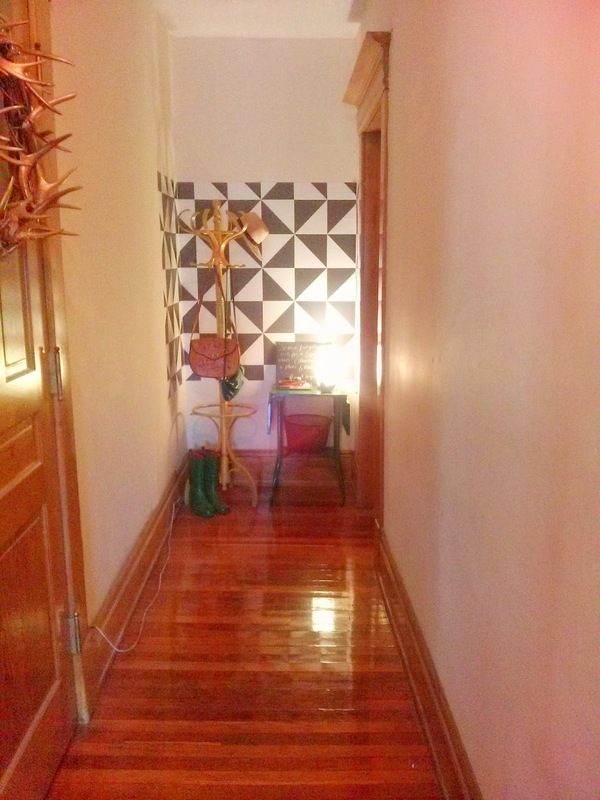 With my thrifted finds all painted, I turned my attention back to the hallway. It just felt right to put my landing spot at the end of the hallway, in the blank spot just off of the bathroom. The great thing about Chasing Paper? 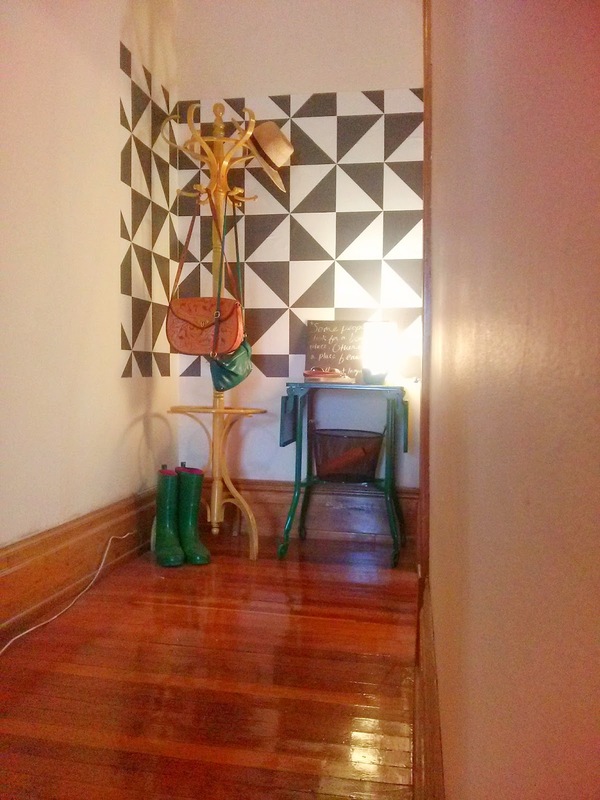 The renter-friendly wallpaper is not only removable, but re-peelable and re-stickable. 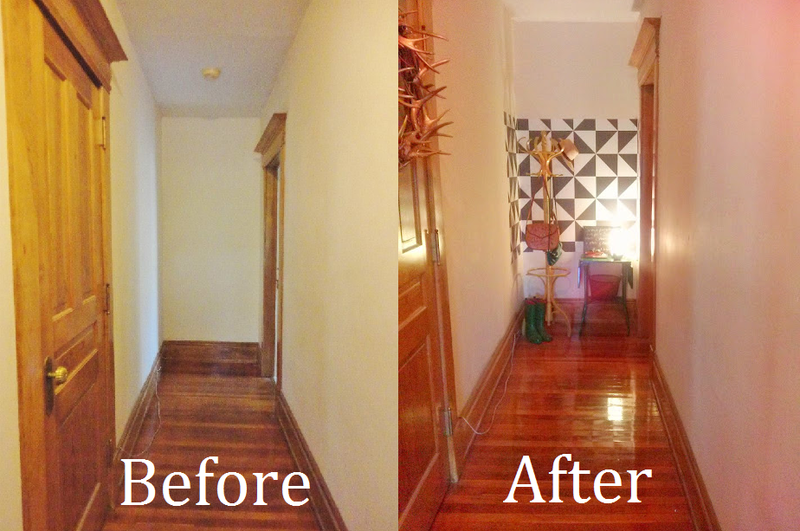 I carefully peeled the wallpaper off the side of my hallway and reapplied it at the end – all by myself, too. Easy peasy. I brought in the yellow coat tree and green typewriter table. The area isn't close to complete yet. 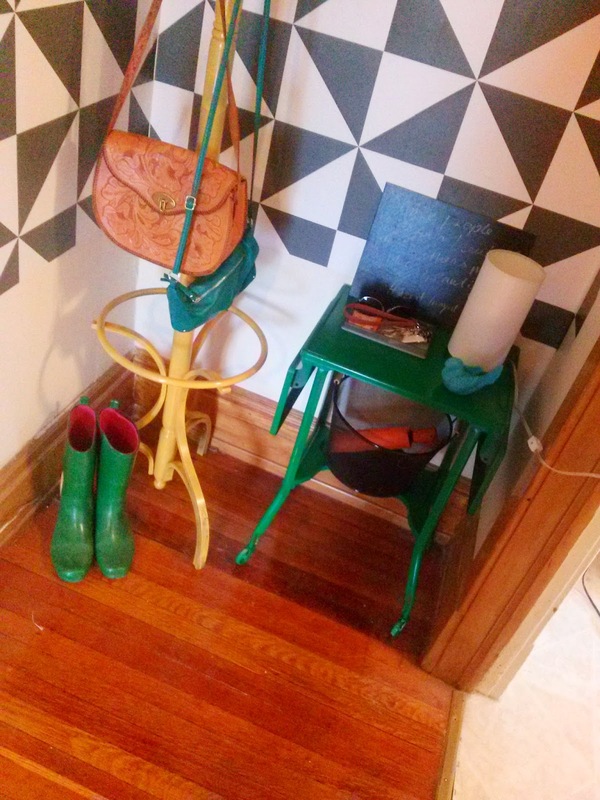 I want a boot tray for my wellies and a pretty runner for the floor. 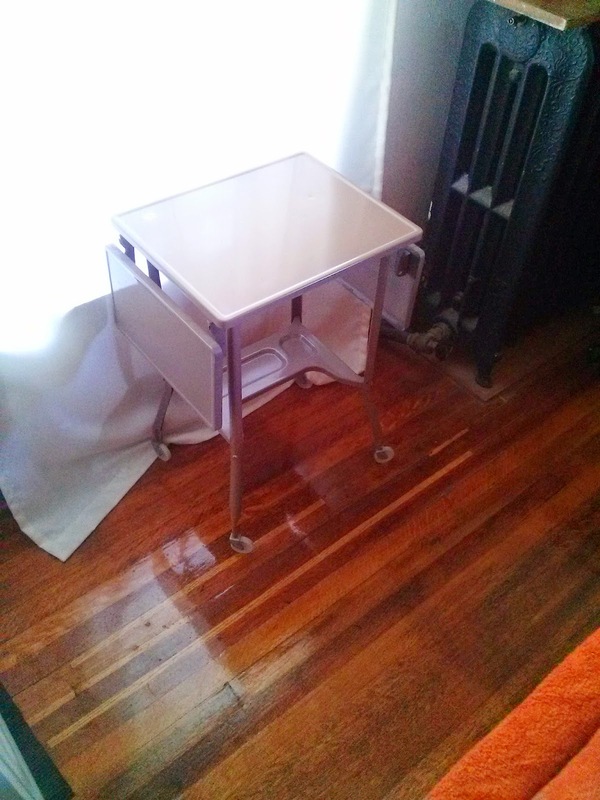 I want to paint that little black basket (under the typewriter stand) a nice shade of coral, but that's a hard spray paint hue to come by. I'm not completely sold on the chalkboard, lamp, tray, bird arrangement on the stand. And I'd like to hang a mirror or piece of artwork there, too. 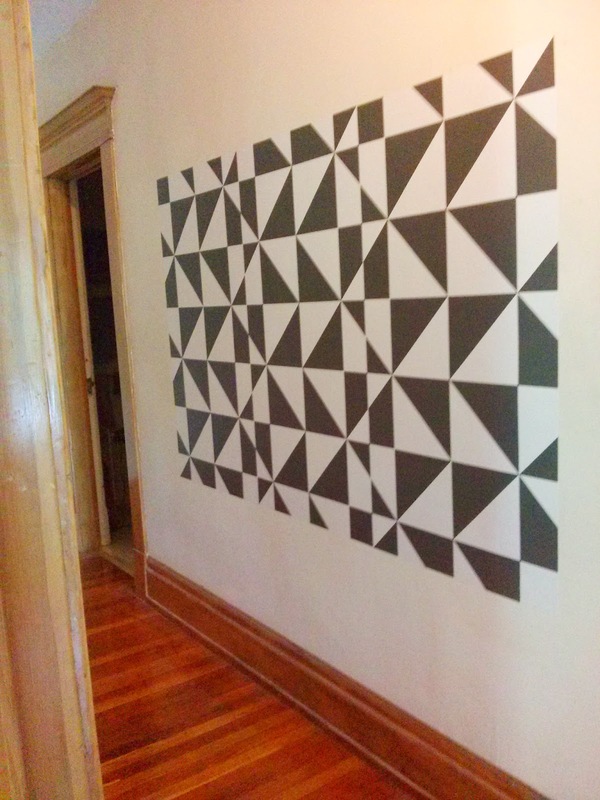 But so far, I'm really loving the visual interest that it adds to the end of my long, empty hallway. 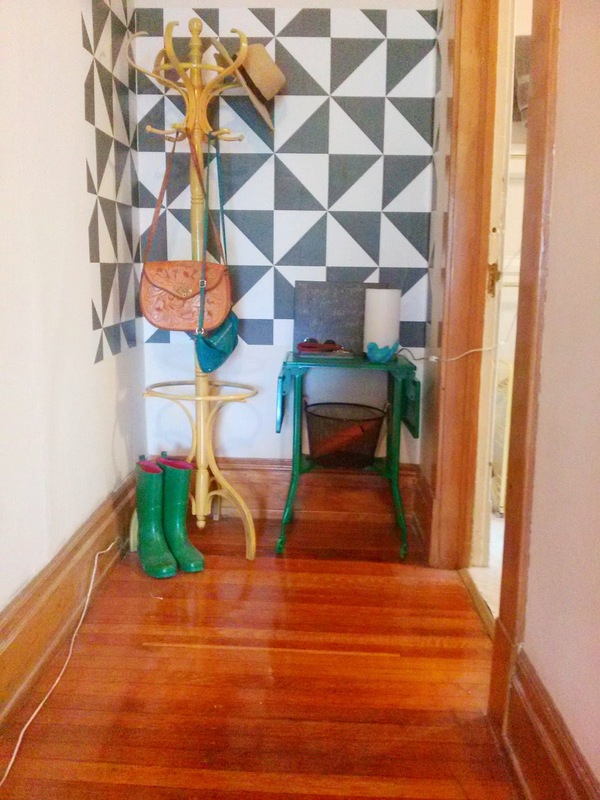 And the coat tree is a perfect place to hang my sunhat and often-used purses. 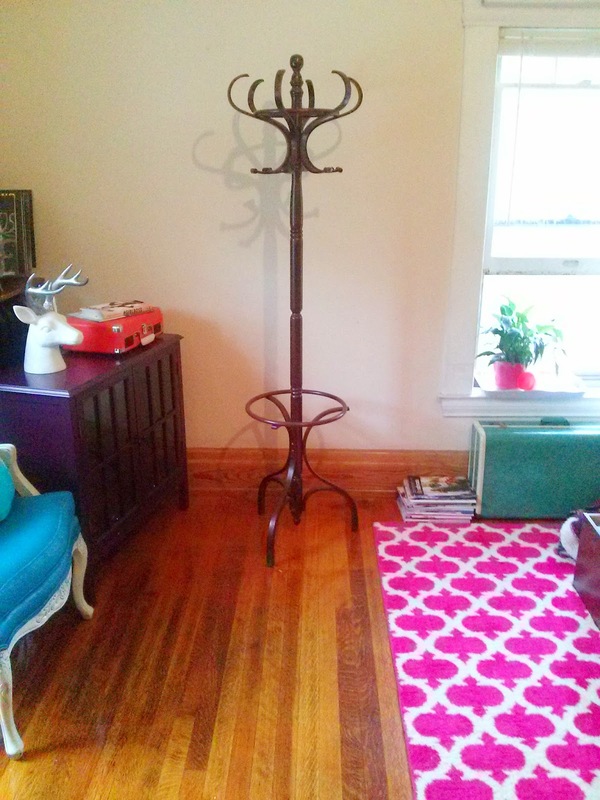 What a fun coat rack! I actually like it even more how the wallpaper goes round the corner, than how it was before! All in all a cute corner!